The arms race to source quality ICOs as early as possible is reaching fever pitch. Beat the crowd with this Rising Star ICO. Perlin are aiming to build a DAG -based protocol using an incredibly simple yet powerful new consensus called Avalanche. The new consensus offers an improved paradigm that is secure, scalable and leaderless while also producing speeds of 1600+ tps in early tests. 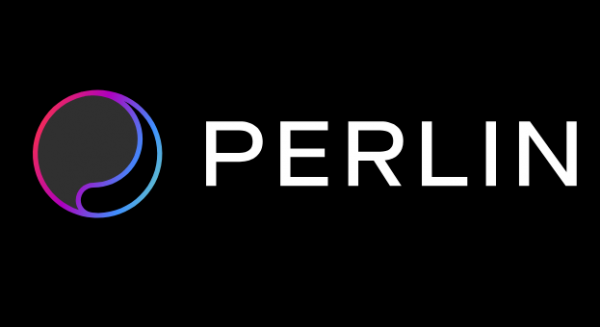 Perlin Network are so early in their project they haven’t even filled their website out yet. Their Telegram Channel is also sparse. In fact, they only made their first post in it yesterday. Nonetheless they’re causing quite a stir. Their TG channel has swelled to 23k members. They’re not bots either. “I don’t know, this is terrifyingly good. I’m fairly confident in my developer capabilities, and this outplays me. All of this work in 3–4 months. I’m terrified to see what these guys are going to accomplish. This isn’t just a compute-as-a-service platform, this isn’t just an AWS EC2 competitor, this is a new paradigm. I seriously don’t know, I’m at a loss for words. I want to work with these guys. Well known and respected code reviewer Andre Cronje rarely buys the hype and he’s apparently in awe of what he’s seen from a technical perspective. Perlin are producing the goods already so who knows what they’ll be capable of. Perlin have got a very strong team. Dorjee Sun (CEO) is a veteran of the cryptosphere and no stranger to leading successful projects. He was COO of Santiment.net, a cryptocurrency data leader which launched in 2017. That project went from a marketcap of $11m to $460m within that short space. He also led Project Transparency which includes 38 projects with a $1.3B overall cap. Additionally he’s advised and invested in multiple blockchain projects including Republic Protocol, Devery, Powerledger, Loki Network, Airbloc, Quadrant, Swiss Diamond Coin, Blue Frontiers, Open Health Network and Virgil Capital. Kenta Iwasaki (CTO) has a similarly checkered career to date. He’s worked extensively on research papers primarly under NAVER. He’s won several internationally recognised hackathons for projects taking place under the eye of Standford University, HKUST, University of Pennsylvania, General Electric, IBM, University of Waterloo and ETH Denver. He also founded an internet marketing system called Dranithix. Other team members and strategic advisors include Prof. Anup Malani, Dr. Taylor Sittler and Vincent Zhou (FGB Capital), Taiyang Xhang (Republic Protocol). These are some well-connected people. Token-metrics for Perlin have not been released yet. Our guess is the valuation for this project will be high. In an era of inflated project valuations it’s important to keep an watchful eye on token metrics. While projects may prove to be successful it does not mean that early investors will be successful; it’s important not to confuse the two. Perlin have many competitors – even within the relatively new world of DAG protocols. Amazing tech isn’t much use unless it can drive adoption. The simplest ideas can often be the most widely used. Our Cryptokitty friends can give testament to this I’m sure. If Perlin can continue as they began we believe they’ve got a bright future. The term “Ethereum Killer” has been thrown around far too much but in Perlin’s case it may not be just hype. We rate them as a Rising Star ICO and believe they are definitely worth keeping an eye on as more details are released. Interested in earning passive income via masternodes? Take a look at our review of a proof of stake project here.